I’ve never heard of a ghost who — during his or her lifetime — was a ghost hunter or paranormal investigator. 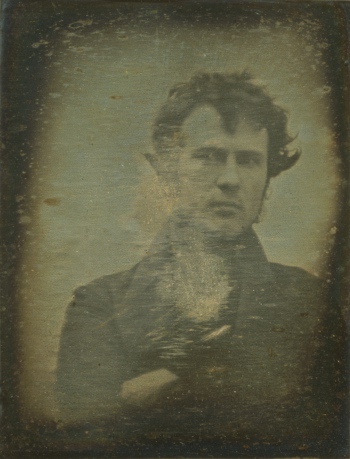 In fact, those who’ve left this world intending to convey a message from the other side – such as Harry Houdini – have yet to make a credible connection. If you’re asking if any famous ghost hunters returned as ghosts… I have no idea. Famous ghost hunters… are any of them ghosts? 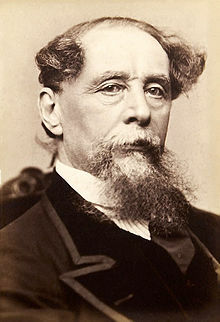 Charles Dickens, a founding member of The Ghost Club. So far, his ghost hasn’t been reported. Or any late active or founding member of The Ghost Club. Can ghost hunters become spirits who visit this world? Maybe. That answer depends on your theology. My spirituality is somewhat eclectic. I can’t imagine any benevolent Deity who’d refuse to let people return here to check on the well-being of friends and family. Can a ghost hunter choose to “test drive” the experience from the other side? Maybe you’re asking: Is a ghost hunter likely to remain in this world, not cross over, and stay here to haunt a location? I suppose that’s possible. It seems unlikely. Most of us have cajoled and argued with dozens (even hundreds) of spirits stuck here. Repeatedly, we’ve told them to go to the light or find Grandma. So, I think we’d know what to do if we felt constrained here. 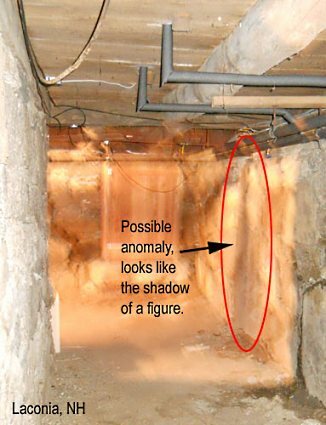 It’s possible that a ghost hunter – like any other spirit — might choose to be a ghost and haunt some location in spectacular fashion, just for fun. It sounds pretty silly to me, but I think we all have free will. I believe anyone could choose to stay here. Author Fiona BroomePosted on 18 November 16 8 November 16 Categories Ghosts and Other SpiritsLeave a comment on Do ghost hunters ever become ghosts? This is one of the stranger questions I’ve been asked. It seems odd to me, but several people have asked about it. Maybe I don’t understand, because I’m not sure how anyone would know if a ghost reincarnated, in the first place. First, perhaps someone lived on earth, and at the end of a normal (or even unusual) life, he died. Next, he became a ghost for awhile, by choice or by default. Maybe he was waiting for something specific to happen. Or, maybe he had unfinished business on the earthly plane. He’d be a ghost, reincarnated. Possible…? Maybe. I can’t rule it out. So, that raises several questions. 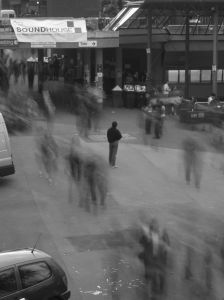 If doppelgangers exist, could a person encounter himself (or herself) as a ghost? To me, it seems like those concepts wander far out on a limb. I’m not sure any of them are worth serious consideration. Can a ghost reincarnate? If you believe in reincarnation, it’s possible that anyone deceased — even if they’re having a short-term adventure as a ghost — could be born into this reality again, in a new identity. But, if it happened often, I think more people would remember past experiences as a ghost. To date, no one has shared that kind of memory with me. If you have, let me know. Author Fiona BroomePosted on 17 November 16 8 November 16 Categories Ghosts and Other SpiritsLeave a comment on Has a ghost ever been reincarnated? 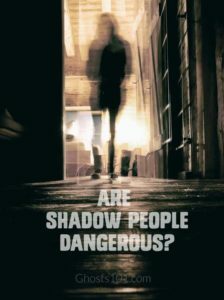 Author Fiona BroomePosted on 11 November 16 18 March 19 Categories Ghosts and Other Spirits51 Comments on Are shadow people dangerous?